Today, at Mass we read about the Baptism of Christ Jesus. This is the time when I usually take down our Christmas decorations and pack them away until the coming December. It is usually a very sad time for me, but this year I have a bit of a different outlook on the season. 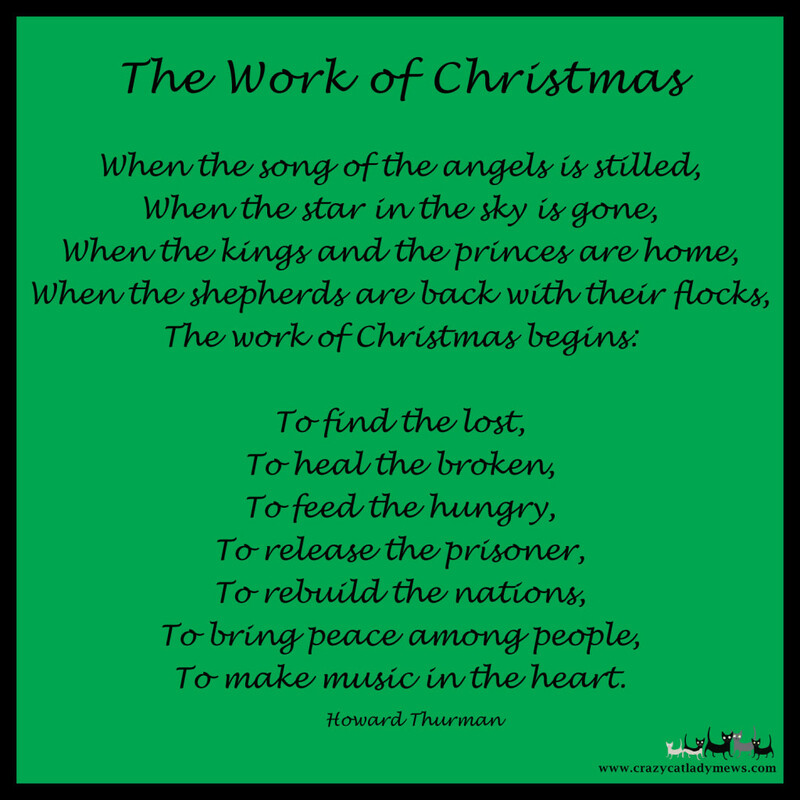 Last Sunday, one of our priests shared the poem, The Work of Christmas, with the congregation. The message from the author, Howard Thurman, is one that at first glimpse seems simple enough: help those in need, bring peace to all. It is when we “pack up” Christmas that we must let the Spirit move within us. Every day we must let the Christmas Spirit live in the present! Easier said than done but I am going to try!